Probably the most important item on any Land Rover is its tyres. 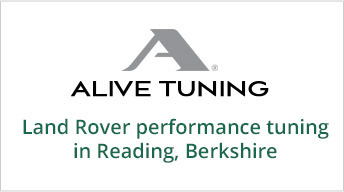 Rovertune Limited can supply and fit a full range of tyres to suit both on-road and off-road driving. When you need replacement tyres please contact us. WE ARE CONFIDENT THAT WE CAN BEAT ANY PRICE OFFERED BY THE MAJOR TYRE FITTING COMPANY’S AND INTERNET TYRE SUPPLIERS. We can also supply and fit tyres for other 4×4 vehicles and family cars. Rovertune Ltd have ‘State of the Art’ fully automatic tyre changers and wheel balancer specifically designed to handle the modern lighter/larger alloy wheels now fitted to the newer range of Land Rover vehicles, practically eliminating any risk of damage to the wheel rims. At Rovertune Ltd. you will always be given a true and honest assessment about the remaining life left in your tyres, brakes (discs/pads) and exhaust system. Our philosophy is to advise and allow the customer the option to replace items at a time when they have obtained the maximum safe working life out of specific parts, so you will never be put under pressure to change parts when a safe working life is still left in them and therefore spend money unnecessarily.